The zocalo in Oaxaca is the perfect place to people-watch. I was sitting at a table in the zocalo of Oaxaca enjoying the perfect weather. A young boy approached me with a package of combs. What was he trying to tell me? I wondered as I ran my fingers through my hair self-consciously. Next appeared a newspaper guy, followed by a wooden craft lady, and then an older woman selling jewelry. Who needs a Walmart when everything for sale is brought to your table by local vendors with faster service than Sky Mall? I’ll admit I have a little ADD, so sitting in any one spot for over an hour makes me antsy. Oaxaca is an exception. It’s the epitome of “real Mexico” as far as I'm concerned, and sometimes I can laze the entire day away people-watching, interacting with the vendors, and simply sipping mezcal. 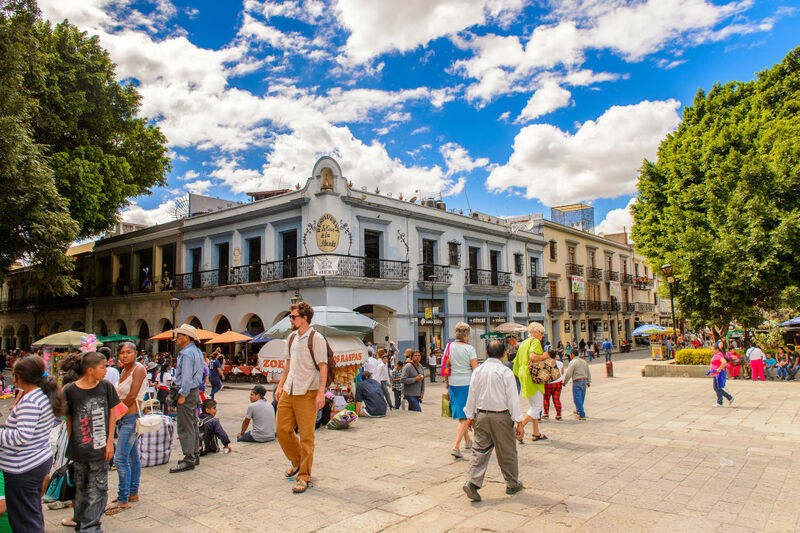 Oaxaca de Juárez—the city's full name—is also full of great places to visit if you can roust yourself from the serenity of sitting in the main square. You can wander the streets, enjoying great food and finding a potential Instagram hit around every corner. One of Oaxaca’s most famous festivals is its days-long Dia de los Muertos, or Day of the Dead, celebration in late fall. A city that can even make death bright and colorful can make almost anything fun. 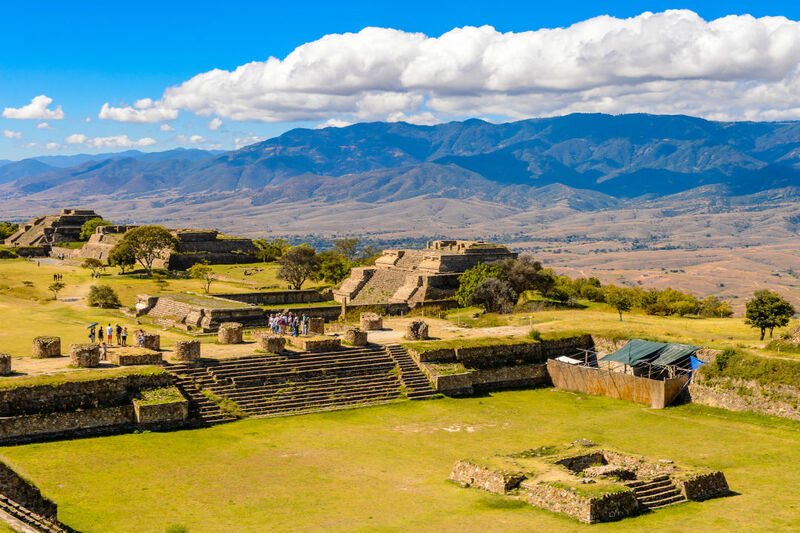 Monte Alban was originally founded around 500 B.C. Oaxaca proper has all the great restaurants and hotels that tourists could possibly want, without sacrificing any of its old world charm. 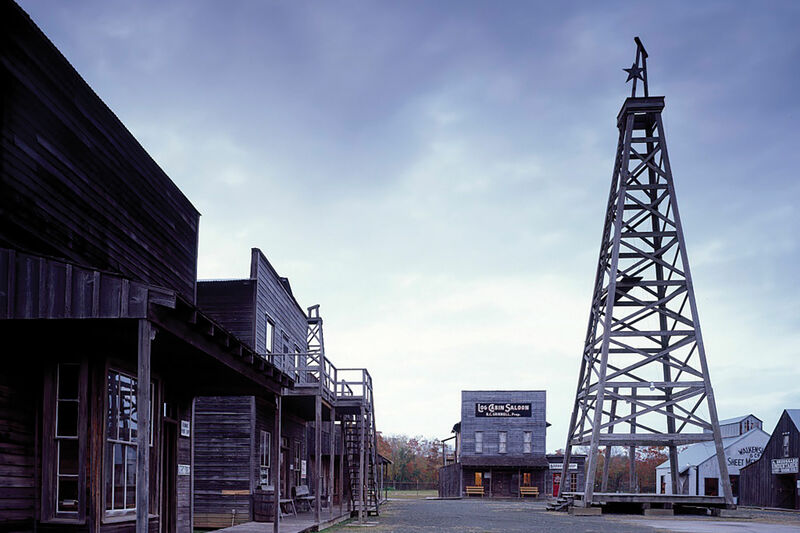 However, if you want to get out of the city for a day or two, there are lots of interesting things to see and experience nearby. Monte Albán is one of the most famous ruins in Mexico and is unique in that it's situated atop a mountain less than half an hour outside the city center. The pre-Columbian ceremonial site was originally built by the indigenous Zapotec civilization, so it's quite unlike its Mayan, Olmec or Aztec neighbors. The ruins consist of a large field surrounded by steps, pyramids, ball courts and various temples and other buildings. The pyramids at Monte Albán are impressive, but equally interesting are the stelae, which have been assembled in a long row for easy viewing. Normally, such carved stones are whisked away to a museum; these, however, have remained on the grounds where they were discovered. 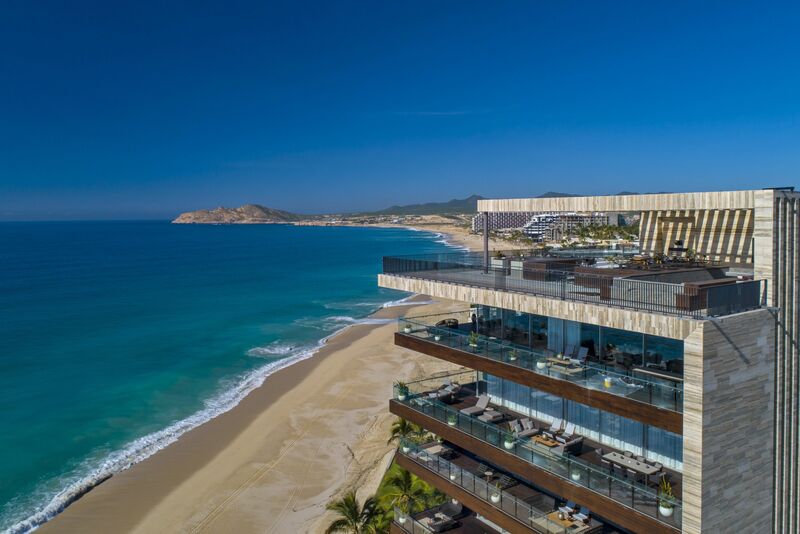 The site is one of the largest in Mexico and can take a few hours to navigate. Large crowds that seem overwhelming when you’re standing in the ticket line seem to magically disappear once you’ve entered the vast complex, each finding their own corner within the 55-acre site. Looking for something a little more intimate? Head to nearby Mitla, a small town a little east of Oaxaca that’s easy to fall in love with—and fast. 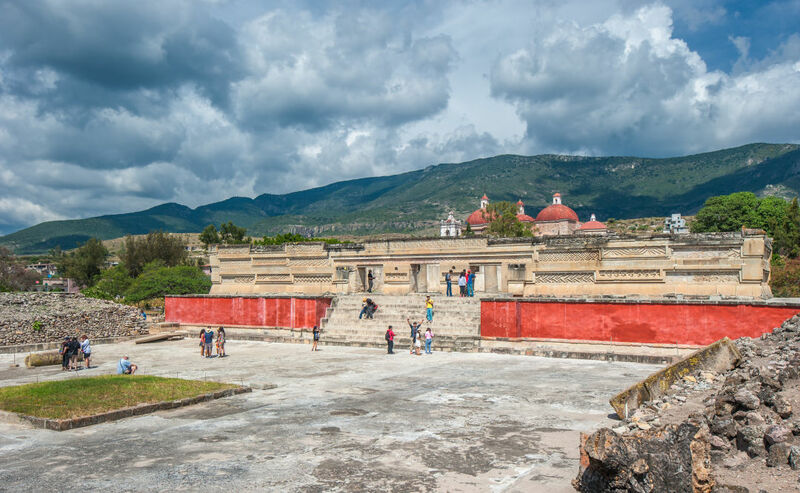 Not only are the little shops and streets charming (and devoid of the parking issues you’ll find in Oaxaca), Mitla is also home to some of the most important ruins of the Zapotec culture. The city was originally established as a religious center and gateway between the living and the dead, and was still functioning as such when Spanish conquistadores arrived here in the 1520s. The architecture is different than anything else you’ll find in Mexico, particularly in the fact that its intricate mosaics were elaborately fitted together without mortar. When the Spanish took over an indigenous city, they usually destroyed the main temple and placed a Catholic church on the foundation. Such is the case in Mitla, with the Church of San Pablo, which boasts interesting mix of indigenous and Spanish architecture. Both it and the rest of the town are definitely worth seeing if you’re heading outside Oaxaca. 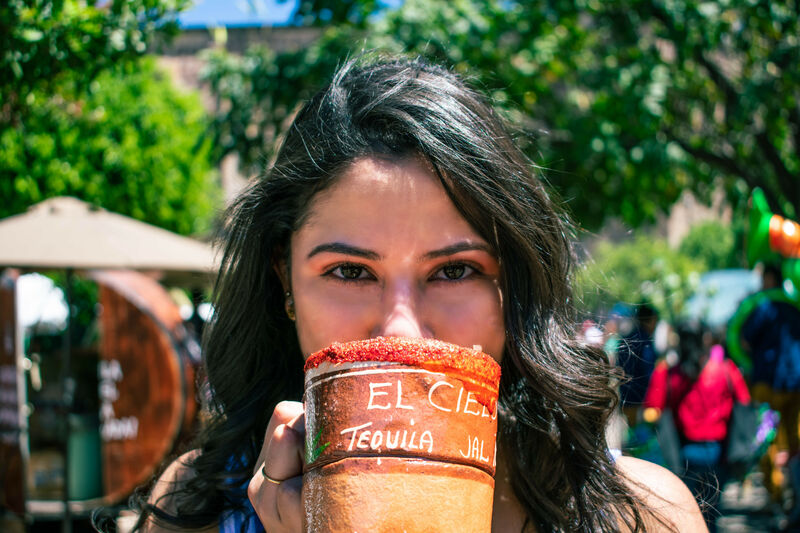 Mezcal and tequila might seem similar at first, but mezcal is manufactured in Oaxaca—the undisputed capital of the agave-based spirit—and the area is full of factories that you can visit, as well as local distilleries that look as rustic as an illegal moonshine distillery. Creating this elixir involves cooking the agave plant in a below-ground pit, allowing its sweet leaves to ferment, and then turning this sappy material into the smoky spirit we know and love. 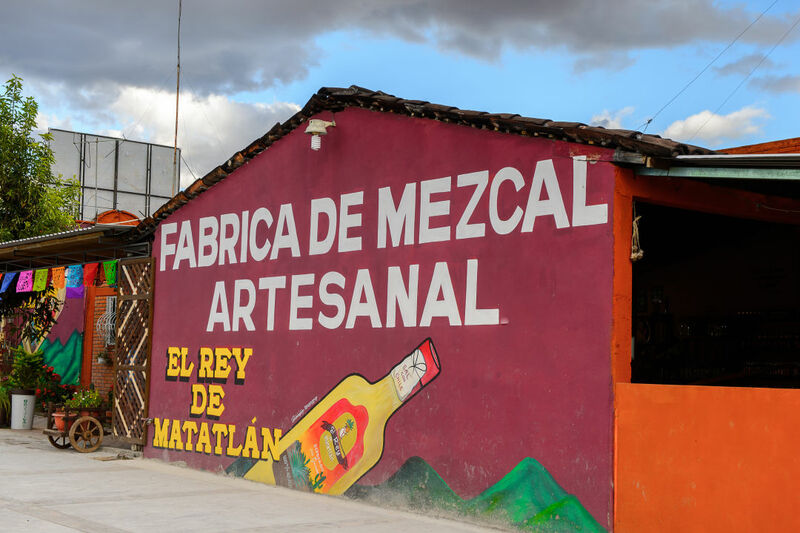 El Rey de Matatlan is just one of the many mezcal manufacturers you'll find in Oaxaca. There are plenty of places to visit along the highways to see the process; you can also arrange tastings and tours with various local companies. I stopped at a local mom-and-pop (mercado de madre y padre?) where two people where actually making the stuff in their front yard. They were especially proud of the scorpion floating in a bottle they offered for sale. Hierve el Agua is touted as a petrified waterfall and although it’s a little bit of a drive, you’ll enjoy this natural wonder that has been creatively repurposed into a local bathing spot. The place fills up fast so if you don’t want to endure the crowds, arrive early or late. The big draw is the stalactite-looking limestone formations that spill over the cliff, giving it the appearance of a waterfall. There are also great views overlooking the valley, making this a perfect place to bring lunch or enjoy a few drinks. El Árbol del Tule is a considered to be the stoutest tree on the planet with a trunk diameter of over 30 feet. It’s on the road to visit Hierve, and is just a short drive from Oaxaca. It’s a mainstay of any tour, but if you’re a DIY driver, you’ll have to keep an eye out for signs. It’s estimated to be between 1,200 and 1,500 years old depending on who you ask. It’s a little bit of an odd attraction since it’s not located in a forest with other large trees like the California redwoods or sequoias, but makes a nice quick stop to stretch your legs and take a few photos. The tree is currently on the UNESCO pending list; hopefully this happens before the tree dies, which it's been slowly doing since at least the 1990s. 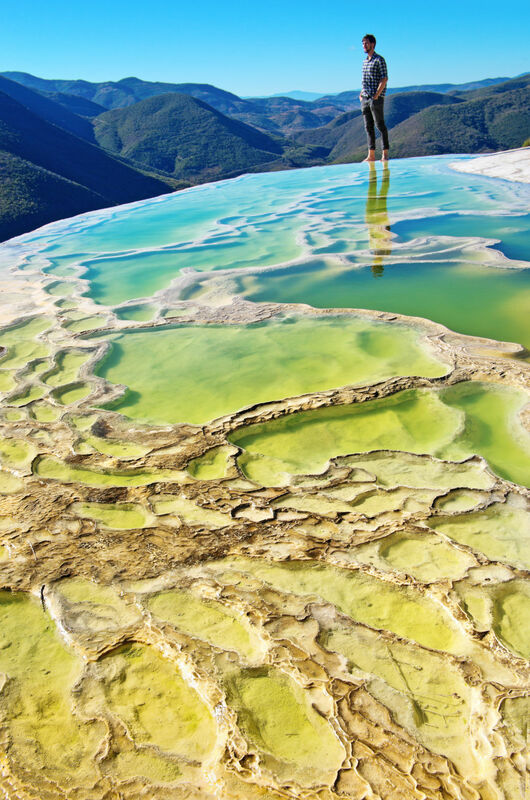 A visitor stands atop the mineral pools at Hierve el Agua. Back in the city, there’s some other great attractions such as Templo Santo Domingo de Guzman, the Cultural Museum, cathedrals, basilicas, and other religious sites. If you want to try some interesting local food and get a real feel for the city, look no further than Mercado Benito Juarez. 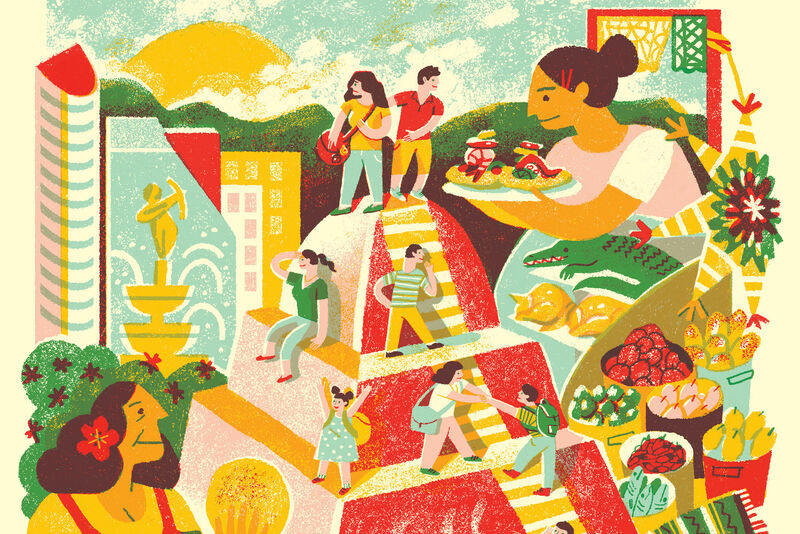 You’ll find lots of different mole choices, plenty of local chocolate and if you’re feeling a little edgy, you can sample some crunchy chapulines (grasshoppers) in a taco. Of course, if you’re feeling lazy, you can always just sit back, order some mezcal and watch the world go by. And don't worry about finding a place to buy souvenirs. The shopping will come to you.